My son has been in speech therapy since August and while we’re there I love watching him work on the activities with his teacher and seeing things click in his head. Since he has responded so well to everything there I’ve been trying to do more with him at home to facilitate learning new words, and I love to use books as inspiration for those activities. With Halloween on the horizon one of his favorite nightly books has been, It’s Pumpkin Day, Mouse! You can see our copy is well loved. This book stars the famous mouse from, If You Give A Mouse A Cookie, and talks about the different faces mouse carves on his pumpkins – happy, sad, silly, surprised, etc. I decided that I wanted to make a crafted based on the pumpkin faces as a festive way to talk about shapes and a way to discuss emotions. As a toddler I thought this last part might be important because he is going through ALL the emotions every five minutes. When my daughter was 2 she could speak in full sentences and tell me what was wrong with her. However, since my son’s speech is delayed he hasn’t been able to express himself as well. He can’t always tell me what’s wrong or what he’s feeling and I hoped that this would help to allow him to understand the emotions better and possibly help show me what he was feeling. This turned out to be such a great project for us and for him. It would also be great to use with preschoolers as a group or individually. Cutting out the pumpkin and the shapes only took me about 10 minutes and it was incredibly simple. Here’s a video tutorial. 1. Sketch out a pumpkin shape, stem included, on a piece of cardboard. Make sure the piece is sized appropriately and isn’t larger than your piece of felt. 2. 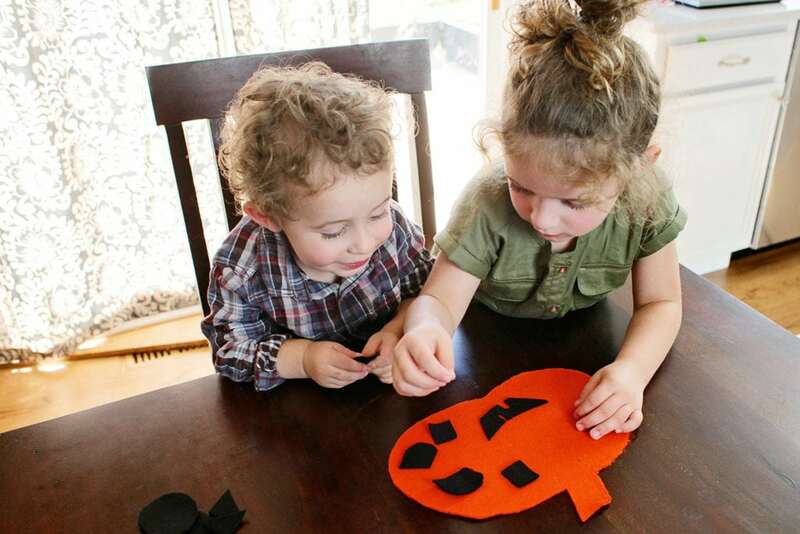 Cut out your pumpkin and then use your chalk marker to trace the pumpkin on the felt. 3. Cut out the felt pumpkin. 4. Cut out your different shapes. Make sure to include basic shapes and then if your child is a bit older you can include some advanced shapes (like a hexagon) if you have good scissors. 5. 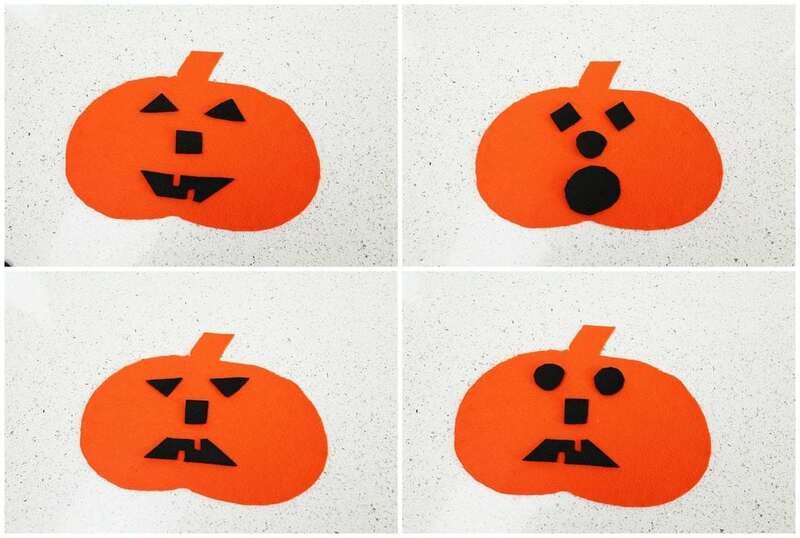 Let your child have the pumpkin and then explain each shape as you put them on the pumpkin. Go through the different emotions and see what shapes can be used to make certain emotions. As you can see, not only did my son enjoy this activity, but my 5-year-old daughter did too. Since she is old enough to understand all the shapes she has been helping him to learn them. She also helped to remind him to make faces on the pumpkin instead of just piling on all the shapes. 🙂 Although, that is also an option. That is such a fun activity. I would love to try this with my younger nieces who are coming over next weekend. This is a super cute idea for kids! You could totally do it for every season too, like changing the pumpkin to a snowman or something like that. Emotions are really nice lessons for the kids, especially since they’re starting to understand the world more and the people in it. I think this is a fun way to learn all about emotions! 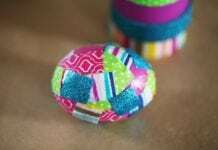 This is such a fun craft, I have done it as a playdate craft before, the moms all loved it. I never thought about pairing it with a book!!! This is such a great idea for little ones who often can’t express exactly what they are feeling in words. I love the idea of using pumpkins especially during this time of year. I love felt crafts! We do a lot of sensory activities and this one will be great for this next week with halloween right around the corner! Thank you for sharing! 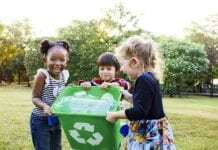 What a fun activities to do with your kids. I love how creative and crafty this is . Thank you for sharing. I think this is a great idea. Incorporating it with a book he know’s also helps him. What better face palette then a pumpkin! Good job mom I hope his speech keeps improving. This is super cute way of discussing emotions using a current theme. I love it and the book is adorable. If I was still in the classroom, I would be all over this. How cute! Thinking of making this for my nephew. Thanks for sharing. What a adorable book and Idea! I love this for my 3 year old. 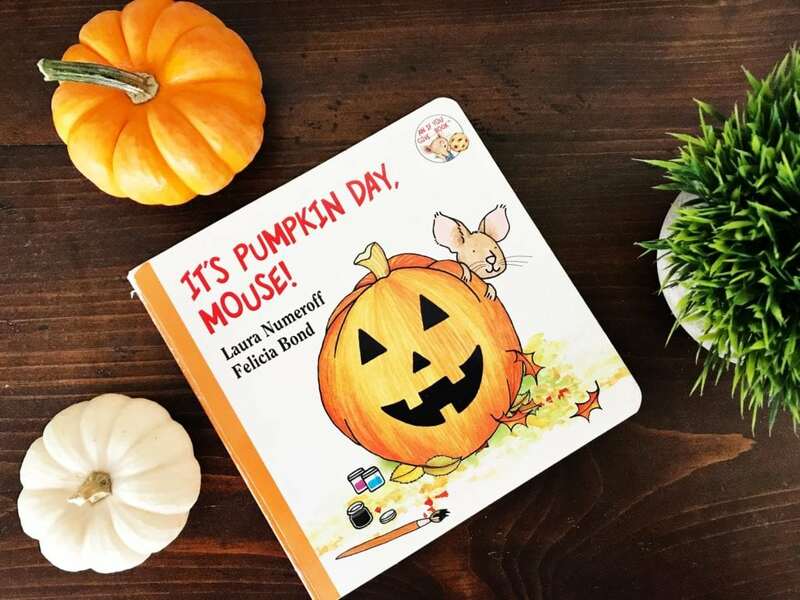 We love It’s Pumpkin Day, Mouse, and this would be such a fun activity to do along with the book! Pumpkin faces are such a fun way to discuss and demonstrate emotions! I can totally see my littles enjoying this activity! Thank you for sharing! What a great way to teach emotions. I know my little 4 year old would love doing something like this and would really learn about it! How cute! I have something like this in a form of a board game, but this another great way to teach shapes and emotions. This is such a great idea and it can be adapted to fit any other season or holiday or design. My friend’s son has a speech delay as well so I’m forwarding this to her. She will love it! what an adorable idea! And so timely at that! My kids would have loved that when they were little, now they are both teenagers, so I wont need this, but I know some parents who would – I will share it with them. Blessings! This looks like such a fun fall activity to do! My kids would love to make their pumpkins have different emotions. Love this idea! totally stealing that idea. Great learning activity for all to enjoy. My little ones were addicted to the felt material and cutting it up into little shapes. Great job. That’s a great idea. I think it’s so important to teach kids how to manage their emotions as they grow. Rather than being reactive and punishing “bad” behavior due to the inability to take hold of children’s emotions, I think we should teach them about their emotions and how to control them. And I don’t mean suppress. This is such a fun idea! My nephews are 3 & 5 so this is a perfect activity to do with them! Great way to spend time as a family and also be able to help your kiddo tell you how he is feeling! My nephew cold use something like this! I will show it to my brother! This looks like an excellent activity to do with kids. I will be saving this post to do with my younger 2 in the future. I love pumpkin activities, so this will be very helpful. That is a great way to teach littles about emotions. It’s not always an easy lesson for them to learn, but this is great. I love these books and didn’t know there was a Halloween Book but now I know what I will be getting my nieces and nephews for Halloween. Then I will show them the Puppet and see if they would like to make it and work on it together. Aww this is very creative and yet seasonal fun learning tool for kids. Permission to copy this and I will have it made for this coming holiday. Where all my family and relatives kids are at home . I have young nieces and nephews who would love to make that pumpkin and learn shapes and language too. This would be perfect for Halloween. 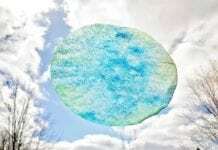 This is a nice art project for little ones. I will suggest this to one of the teachers I know who teaches pre-k at my kids’ school. I love this idea for a kid’s craft project. It is such a cute way to encourage kids to express themselves emotionally. My kids love seasonal crafts like this. I like have a handful of easy Halloween themed activities for this time of year. This should be a lot of fun! Oh I love these! What a fun toddler activity! We will for sure be trying these out! This is such a great activity for this time of year. Social-emotional skills are so incredibly important for all children. It is a great way to expose them to the verbiage and what each emotion looks like. Super fun! That’s the perfect idea for the Halloween season. We’ve been trying to teach how to express emotions to the 2 year olds and this will help. What a great way to get young kids in touch with their emotions. Plus a craft activity to boot! I would imagine this would be a very effective way for kids to communicate and recognise emotions. This pumpkin project looks like so much fun. I can’t wait to give it a try with my kiddos. This is the sweetest little craft!!! I’ll definitely have to make these for my girls. When my little one has a meltdown she completely shuts off, this will help her describe her emotions!!!! What a CUTE idea! So practical and festive, all at the same time! I love that you used jack-o-lanterns! I think this is such a great idea. It’s so important to teach them about emotions. I really loved this book too, and so do my daughters. I’m loving this lesson so much! Seasonal, engaging, and helping children figure out their emotions. A+ here! What a fun and creative activity for kids. It’s great for the season and toddlers will surely love that. Love these ideas! My grandniece turns 2 next week so I’ll be sharing this with my niece. She loves teaching the little one and I know she’ll appreciate this. This is such a wonderful idea! I’m going to have to try it with my almost-three-year-old. I think he’ll love it! My son is speech delayed as well so I totally feel for ya, momma! This is such a cute craft and I’m going to have to look for this book! I love the “If You Give a Mouse a Cookie” book! 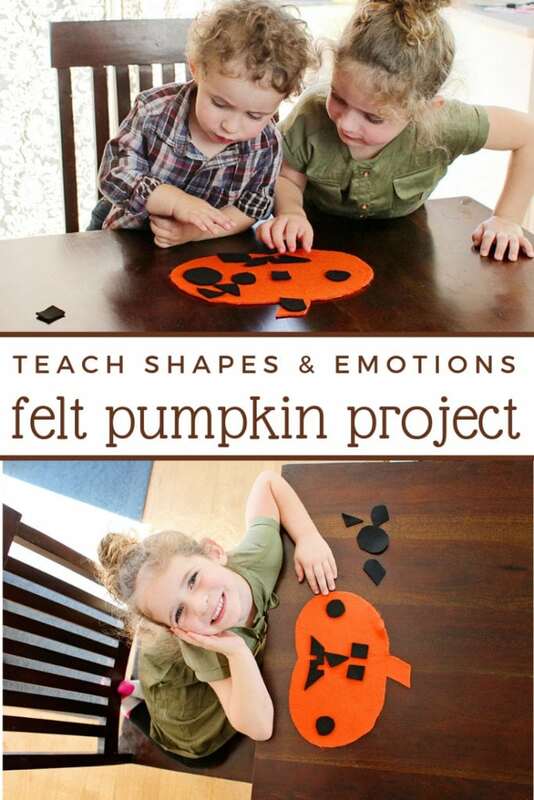 I love pumpkins and this sounds like the perfect activity to do with kids for fall!! Great post! Great way to teach emotions, and a great gateway to teach empathy too! I love this book! Ours is also well loved. lol I’m glad both your children were able to learn together! Oh I totally love this idea! 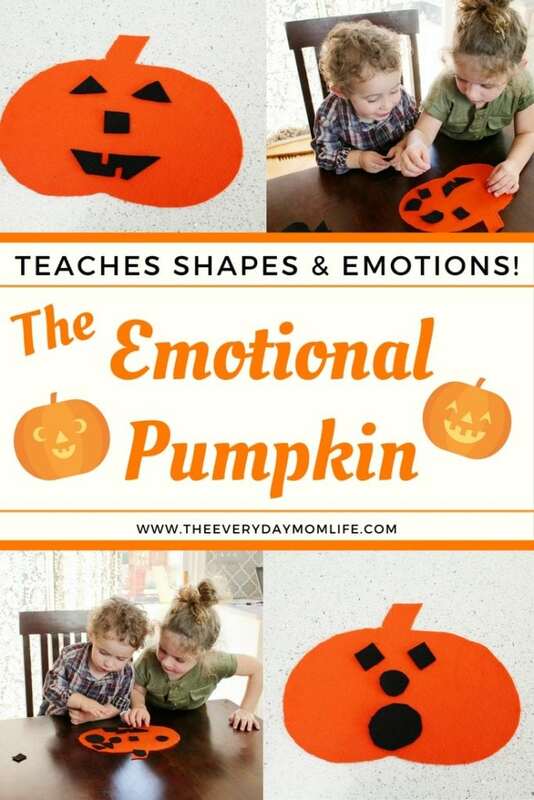 To use the Jack-O-Lantern to teach about emotions is absolutely brilliant! This is definitely one of those ideas that I am saving for a rainy day. Sometimes I help teach Littles and this would be the perfect thing to share with them. I love how you use the jack-o’-lantern to teach different emotions. I wish I would’ve thought of that when my kids were little! Ohh this is a great idea to do for toddlers. Indeed nice to incorporate to kids the Halloween season. I need to share this to my colleagues who have toddlers too. What a cute way to teach emotions! Noah would love this! What a precious idea! I love that it relates to the season too. We love that mouse in our house! This is such a great activity and came right at the perfect time for us…my daughter is having so much trouble expressing her emotions and I think she would really enjoy this. Such a fun and fresh idea for toddlers. My kids are not a toddler anymore, but we used to do this kind of activities a lot. This would be a fun activity with my grandson. He is 34 months old and he is very eager to learn about new things. I’m getting the materials I need for this. That’s really fun! Love that you’re sharing this idea with parents because it’s something that the kids can enjoy while also learning at the same time.